 Hometree Songs | Pandorapedia: The Official Guide to Pandora | Own AVATAR on Blu-ray & DVD Now! Although much of the domestic music is typically less rhythmically oriented, the rhythmic activity in their songs increases during communal work activities, specifically while weaving and during food preparation. Those working often gossip and sing during these activities. The majority of Hometree songs pertain to weaving, since it is one of the principal communal activities of their daily lives. Weaving occurs in two ways: it may be done on an individual basis, on small looms, with a few men and women sitting in small clusters, or it may be done on one of the giant looms strung between floor and ceiling of the Hometree commons that are worked by six or seven Na’vi at a time. Most of the weaving songs are sung by the men and women working on their individual looms. The topics vary from hunting to gossip to discussions of which male or female might make the best mate (including some songs sung by elder women that have a distinctly lewd character). Many songs extol the joys of the beauty of their world and their people. During food preparation, as the clan members pound food with their ikut’sey (meal mashing poles), the poles create a rhythmic accompaniment to the women’s songs. Each pole, when pounded creates a slightly different pitch, due to their differing sizes. (This concept of combining differently pitched instruments into a group is echoed in the construction of the pole drums called umili jahmka t’rusu.) The workers pound so that their ikut’sey create interlocking rhythms and a subtle melody which is then elaborated by the other workers. The clatter sticks attached to the ikut’sey, although not specifically musical instruments, add a pleasant noise to the mix. The linguistic style of Na’vi Hometree songs differs from the battle and hunting songs in that the glottal stops and ejective consonants inherent in the Na’vi language are not emphasized. In many cases (especially lullabies), certain syllables are elided together, skipping over some of the harsher ejectives and reducing the number of glottal stops in order to create a smoother, less aggressive sound. Function To accompany hearth and home activities. Na'vi Name Kelutral tìrol or “Hometree songs”. Notes Led by fathers and adult women who have had children.